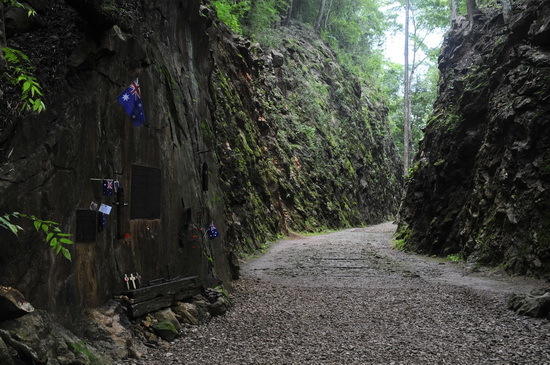 Infamous Hellfire Pass, or Konyu Cutting to use the original name, is one of the most notorious stretches of the Death Railway constructed during World War II by the Japanese army using Allied prisoners of war and conscripted Asian labourers. 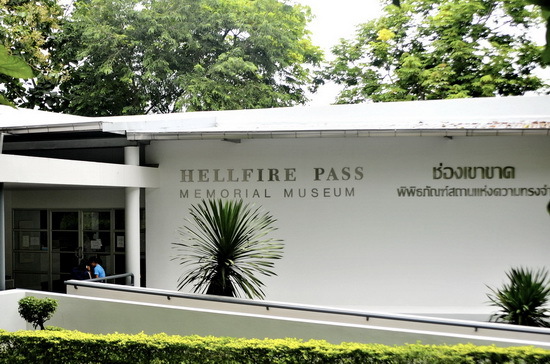 The Hellfire Pass Museum is a must-visit for any traveller to Kanchanaburi. 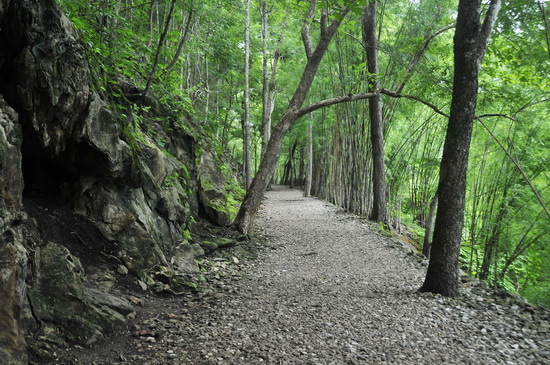 In addition to the moving museum, it’s possible to hike in the surrounds. A steep flight of steps leads down from the museum to the old railway bed, where a short walk takes you to Hellfire Pass itself. From here you can climb back up the stairs to the car park, or continue along the route of the railway. 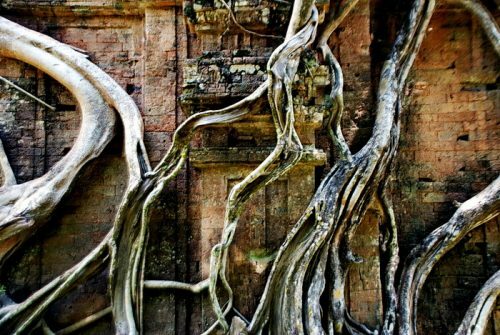 Despite it being the site of such tragedy, the setting is bucolic, with forest on either side and glimpses of the Kwae Noi (Kwai) river through the trees and bamboo to your left across a lush valley. The rails and sleepers are mostly gone but the track now runs over the line’s old gravel bedding. Tough-ish footwear is best. Bear in mind, of course, that many people died here so please act respectfully. Hellfire Pass or Konyu Cutting itself. The line to link up Bangkok with Japanese forces in Burma was constructed through extremely treacherous terrain, entailing construction of numerous wooden trestle bridges and rock cuttings. K0nyu Cutting got its nickname from the terrible sight of half-starved workers hacking their way through the rock, lit by flickering burning torches. The wooden trestle bridges are long gone and replaced by steps, so there is a certain amount of clambering up and down, and certain stretches may be closed during the rainy season due to slippery conditions. In good weather you can do either a short 500 metre or so loop around the Konyu Cutting, while a further 2.5 kilometre hike takes you out near the old Hintok Cutting. Between the Pass and Hintok your route includes the Kwae Noi Valley viewpoint with spectacular vistas, the Hammer and Tap Cutting and the site of the Three-Tier Bridge. Just past Hintok the route crosses a sealed road, which is a popular pick up spot for those with their own transport. Another 1.5 kilometres takes you past further famous railway features such as Pack of Cards Bridge and Compressor Cutting, to the end of the walkable section. There’s no access road here, so you’ll have to hike the four kilometres back to the Museum or arrange a pick up at Hin Tok. Taking into account the steps and obligatory stops for views and photos, allow 1.5 hours each way. 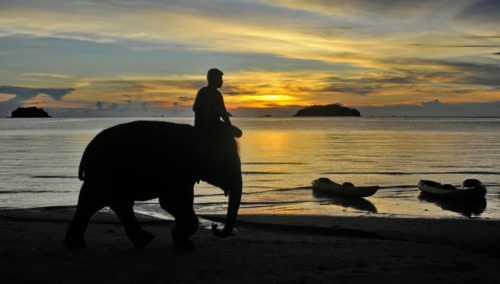 It can be a challenging hike. Take water and a hat as while some sections are in the shade others are not. You’ll see plenty of bird-life en route but be careful, as snakes are also frequent visitors to the railway line. 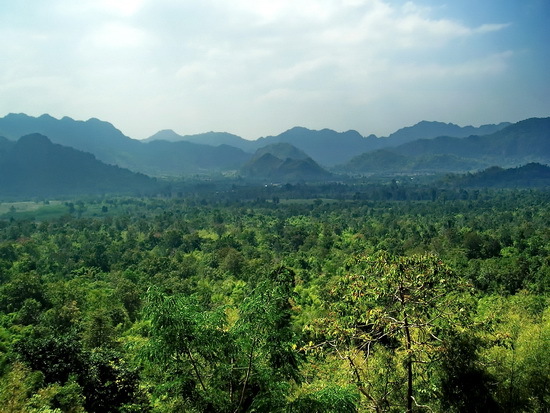 A visit to Hellfire Pass Museum plus a hike along the railway is featured in both 0ur Thailand, ‘Mountains and Rainforests’ tour and Thai family tour, ‘Jungles and Islands’.